Are you looking for the best wireless or WiFi-enabled smart plugs that make your hassle easy? We have recommended ten of the best wireless WiFi-enabled intelligent plugs that lets you have control over your smart house appliances. Even the most retro home now being smart with some high tech makeovers, this is all because of the Wi-Fi, internet, and smartphone devices. But do you know that now the market is flooded with tons of smart devices that you can take a look and use to makes your home much smart? And from all those smart devices the Wi-Fi enabled smart plug outlet is an excellent device that you can buy right now. We did hours of research and picked these best wireless WiFi smart plugs to suggest you. We tested by connecting home appliances, lights, mobile chargers, and a few more electronic devices. These are the perfect smart home gadgets which are compatible with Amazon Alexa and Google Assistance. Let’s take a look at this smart gadgets. Out of the smart plug-in outlets we teste,d this one performed well to turning anything which is plugged into the outlet. This can work remotely to turn on or off through smartphone or tablet or iPad using an app. Additionally, the compact design, price, and tons of function set this Smart WiFi Plug apart from its competition. With this smart plug outlet, you can quickly turn electronics on/off from anywhere. It is compatible with Android and iOS with Kasa app. It also works with Amazon Alexa, Google Assistant, and Microsoft Cortana. This smart plug is UL certified and has flexible control. It supports Kasa scenes and schedules. Turn electronics on/off from anywhere. Compatible with Android and iOS with Kasa app. Works with Amazon Alexa, Google Assistant as well as Microsoft Cortana. UL certified and flexible control. Compatible with most of the device. Control over the device from anywhere. Tricky to connect to a network. The Etekcity includes energy monitoring as well as smart-home integration that supports tons of other services. And if you are looking for a perfect and secure plug outlet, then this one Mini WiFi Smart Plug is a solid choice. There are two-smart plugs in a pack, and both these smart mini outlet comes with energy monitoring. It efficiently works with Amazon Alexa, Echo, and Google Assistant. With it, there is no requirement of the hub. You can even get 30-days money back guarantee. Two-smart plug in a pack. Smart mini outlet with energy monitoring. Works with Amazon Alexa, Echo and Google Assistant. No requirement of a hub. Not a wide range of connectivity. 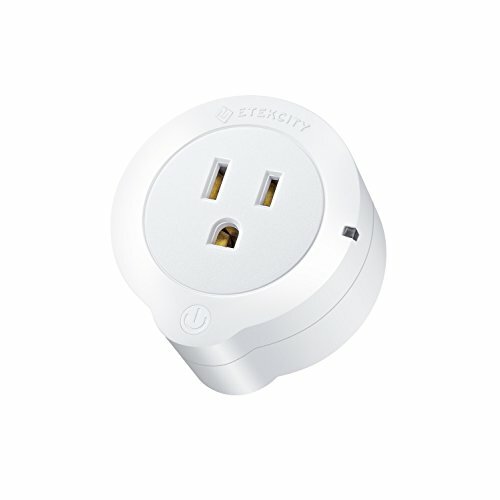 If you are one of those who wants more than just one or two smart plug outlet, this one package is for you from the same brand Etekcity. This WiFi Smart Plug Works with Amazon Alexa is as compact as our other top picks. 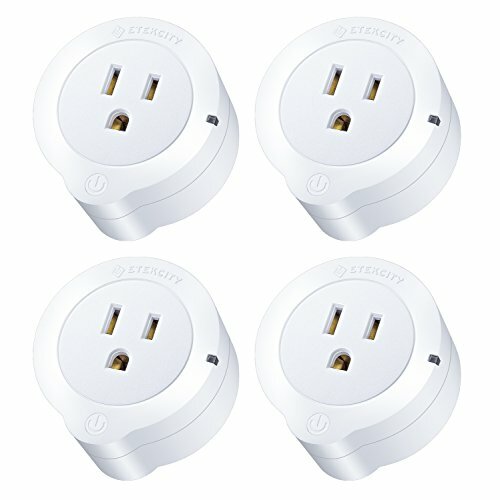 This four pack of mini outlet comes with energy monitoring function. Just like other smart plugs, it also works with Alexa and Google Assistant. It is easy to control and delivers stable connection. It supports various smart devices. Four pack of a mini outlet. Did not works easily with the Alexa. 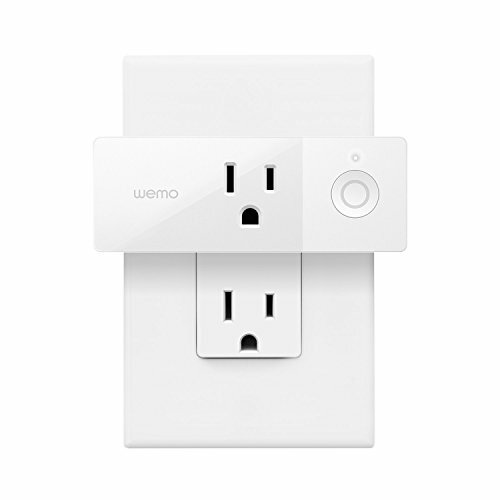 The WeMo’s WiFi Enabled Smart Plug is a strong performer which is easy to use. With the more compact design than its processor, it can easily be used on various devices with all ease. It plays a considerable role to turn your house into the smart home. The smart mini-plug supports free app for most of the Android and iOS devices. The only thing that it requires is WiFi. There is no need for a hub or a substation. It is the compact, sleek in design, and compatible with Alexa and Google Assistant. No hub or subscription needed. Control with Alexa and Google Assistant. Syncs lamp and devices based on sunrise, sunset. 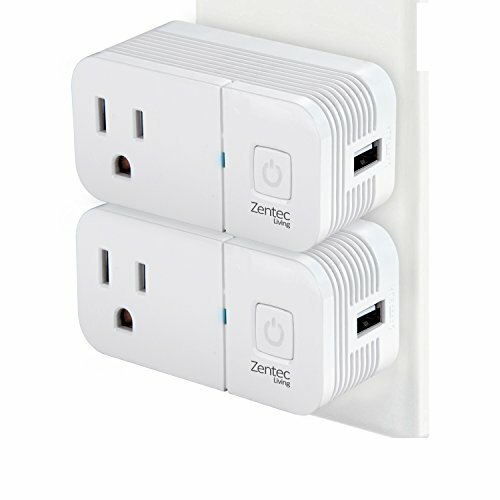 The Zentec Living makes putting smart plug outlet in your house a lot more affordable than its competition does. This device performed a well in our testing and this Wireless Smart Plug With USB Ports extremely simple to use. With it, you can transform your house into the smart home without any hub. This innovative WiFi plug comes with built-in USB charging ports. It can control electric appliances and devices while preserving energy. It also prevents overcharging and remotely powers on or off of the electronics devices. Transform your house into a smart house. Innovative WiFi plug with built-in USB charger port. Control electric appliances and devices. Power on or off of the electronics. Supports most of the device. The design isn’t that attractive. 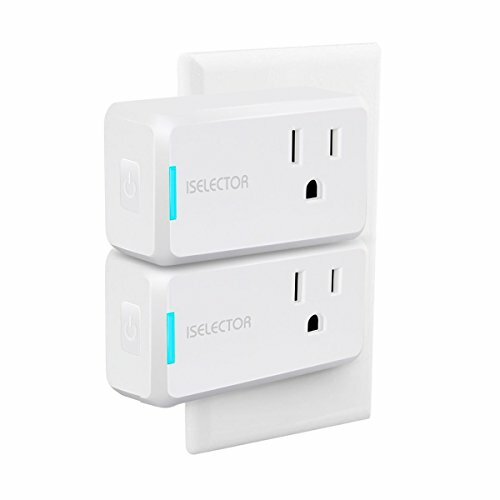 The ISelector’s latest Wireless Smart Plug is as reliable as our most of the top picks, both the smart plugs are compact and cheaper. It connects to the app for simple and effectively controls the house appliances. The smart plug supports iOS and Android, and all it needs is just connecting to the device. To control it there is Jinvoo smart or smart life app available. You can turn on or off the light automatically. And this device works well with Alexa and Google Assistant. Smart plug supports iOS and Android OS. Simple connecting of the device. Jinvoo smart or smart life app use. Turn on or off the light automatically. Works well with Alexa and Google Assistant. Controlled by various smart devices. Doesn’t work on a secured guest network. 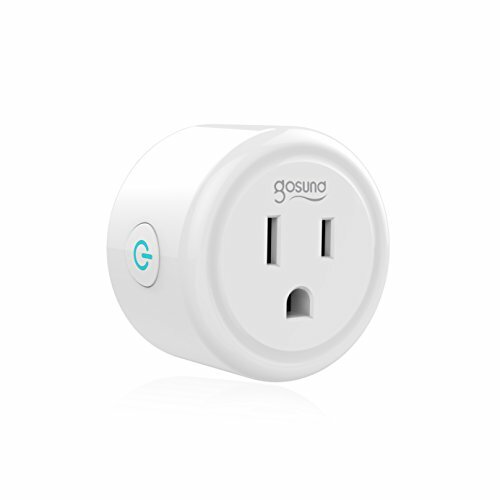 The Gosund Mini is compact and delivers smart features in the single socket with the power button. The shape of this Wireless Smart Plug Works with Alexa allows you to install it with all ease without facing any hassle of connecting to other devices. This mini smart plug outlet comes with power off or on the button. It can control with the phone and other devices. It is also compatible with Alexa, Google Home, and IFTTT. There is no need for a hub, and it is ETL and FCC certified. It is a superb remote control smart socket. Mini smart plug outlet with power off or on a button. Control with the phone and other devices. Compatible with Alexa, Google Home, and IFTTT. No need for a hub. 12-months of the limited warranty. 90-days unconditional guarantee of full refund. Once again, with the two smart mini plug outlet, we listed one of the best of our tested device. This WiFi Smart Plug Works with Amazon Echo and you can easily install it to use with other devices. 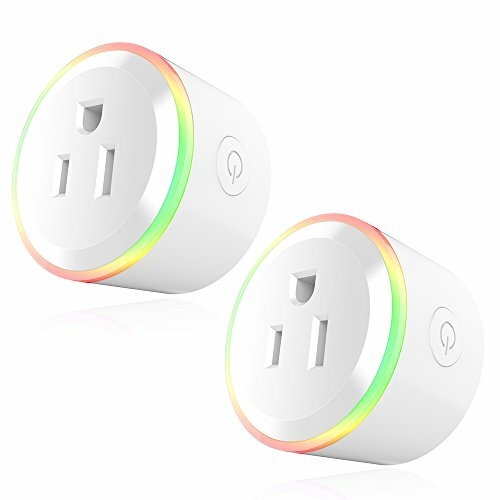 These two mini smart plug outlets are excellent WiFi socket home electrical timer outlet. It can remotely control with Android and iOS app. It works with Alexa, Echo Dot as well as Google Home. It comes with the built-in dimmable colorful light. Two mini smart plug outlet. WiFi socket home electrical timer outlet. Remote control with Android and iOS app. Works with Alexa, Echo Dot as well as Google Home. Turn on or off devices or appliances at your house. Control with Smart Life app. Doesn’t work well with Alexa. The Tonbux is another top pick that performs pretty well. Just like a few of our top picks this one WiFi Enabled Mini Smart Plus Works with Google Home delivers similar design. With compact and sleek design it is excellent at connecting to other devices. 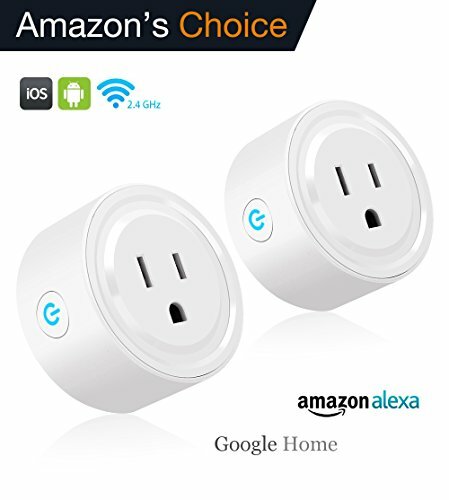 Both these mini WiFi-enabled smart plug are compatible with Amazon Alexa and Google Home. All of them can remotely control your gadgets from anywhere. It is a multi-featured device as it comes with ETL certification, schedule function while being easy to install. Two mini WiFi-enabled smart plug. Compatible with Amazon Alexa and Google Home. Remotely control your gadgets from anywhere. FCC, ETL, and RoHS certified. Control devices globally with WiFi access. The app is not that easy to use. The KMC is a reliable, easy to install to use the device. 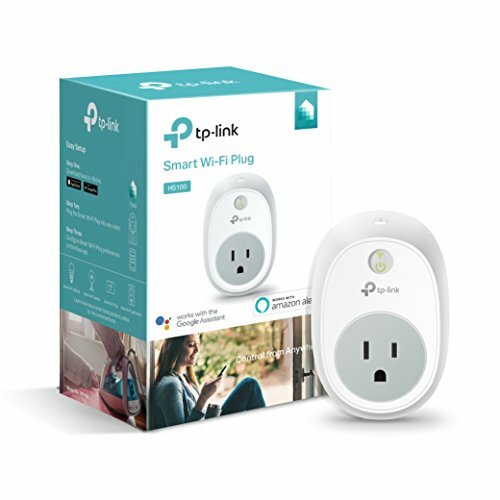 While being a least expensive model in the market this WiFi Smart Plug Mini Outlet Compatible with Alexa and can easily control with a simple app on your Android or iOS devices as well as Google Home support. 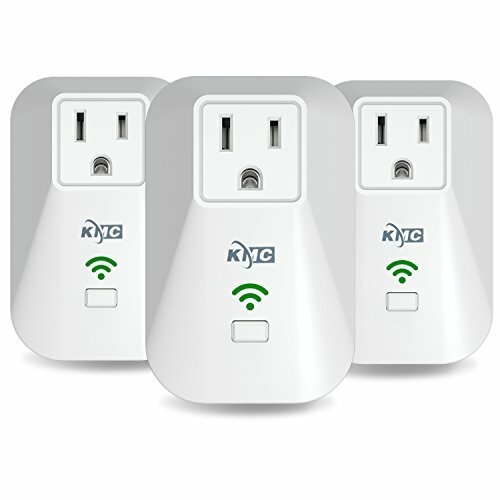 Unlike other brands, the brand KMC offers three small smart plug outlets, which work with KMC smart or smart life app. It supports iOS and Android device. It is easy to install and use as well. It is even easy to connect to the WiFi connection. Three compact smart plug outlet. Works with KMC smart or smart life app. Easy to install and use as well. Easy to connect to a WiFi connection. ABS material makes its flame resistance. The connection seems little unstable. Which one of these Wireless WiFi Smart Plugs would be your pick? Or have you already picked one to make your home smart? Tell us about it and don’t forget to share your experience with us.